As a Specialist Sales, Office and Management Recruitment Agency we are PASSIONATE and PROUD of what we do and who we are representing. We appreciate that reputation means everything in business and without a good one we don't have one. We use our INTELLIGENCE and use it alongside our INSTINCT. Said by all recruitment agencies and many many clients, your gut instinct is never wrong. We make ourselves AVAILABLE to you when it suits you. We appreciate your need for minimum disruption to your sales business. Our sales, office & management recruitment consultants are solely ACCOUNTABLE for their dedicated assignments, and whilst we work as a team we place emphasis on one person taking ownership for your requirements from start to finish. It's not all work though, when it's play time Louisa can be found in her wellies at festivals such as Reading, Sonar, BBK and Tea in the Park; Louisa a true lover of all things furry and cute and Billy Baxter - apart from being the office doggie, is Louisa's own. Louisa has over 15 years sales recruitment experience. She is a fellowship member of IRP (Institute of Recruitment Professionals) and is formally trained in sales, management and sales performance management. Pam is a mum of two boys - Charlie who is nine and Kasey who is three. When she is not being mum or working she loves nothing more than baking and cake decorating, so much so she has recently completed some cake decorating courses. She also likes interior design and is often painting or up-cycling furniture to add to the home. 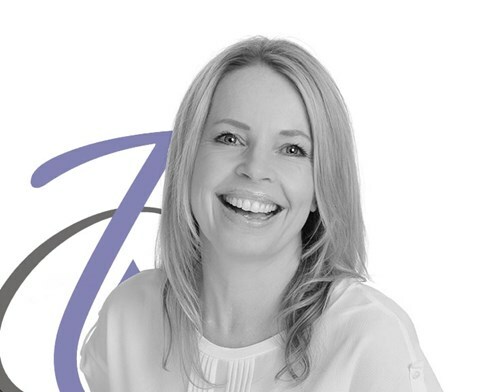 Pam has been in sales recruitment for 15 years now and has built up an extensive client portfolio particularly in Reading, M4 Corridor and London and she has a number of established relationships. 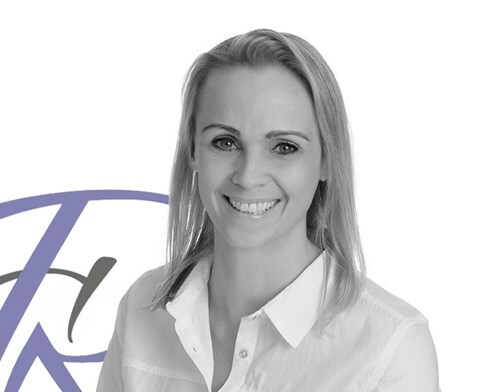 As well as being a busy Recruitment Consultant specialising in office recruitment, Kathryn is also mum to two girls and enjoys spending time with them and her husband. Kathryn enjoys walks with the family (as long as they end with a coffee shop!) and eating out. She and her husband have recently bought a house and Kathryn is enjoying transforming it (although does more directing than doing!). Before Kathryn worked in sales & office recruitment she worked in childcare and education recruitment and still volunteers on the committee of a local preschool in her "spare" time! Originally from Wales but moved to Oxfordshire two years ago, Natalie is mum of two girls and a bonkers dog called Ted. She loves spending time with her Husband and kids taking Ted out and about, exploring rural Oxfordshire and Berkshire. When she's not working Natalie enjoys doing Archery and can often be found out in a field shooting targets in the summer. We are proud to welcome Billy Baxter to the team. Billy joined us as a young pup in January 2016 and he brings lots of fun to our working days! 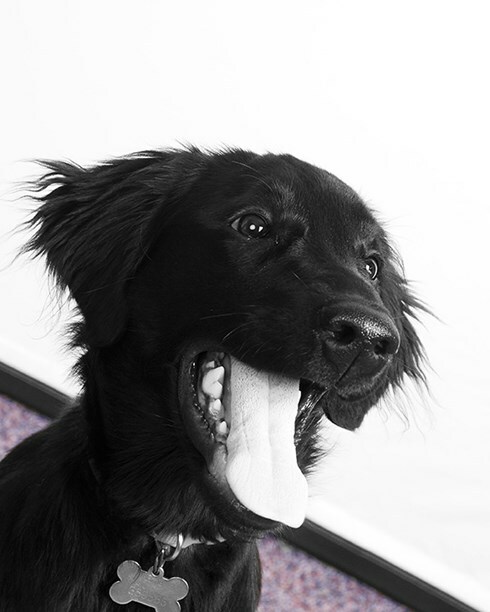 Billy is a flat coat retriever pup and we know we are biased but he is adorable! Billy is our C.E.O (Chief Entertainment Officer) and he has injected warmth and fun into our daily office routines. Like all of our recruits Billy was put through in depth screening and skills’ testing before our decision was made to appoint him in this very important role. Being naughty, he's a pup! That’s what he does best! From running off with the paper from the printer to stealing your favourite pen, he's always up to something mischievous! Playing ... Life is a game and there's always fun to be had when Billy is around. Sleeping... 16 hours a day? It's a dog's life!